Berlins most wanted Beach Party is back! 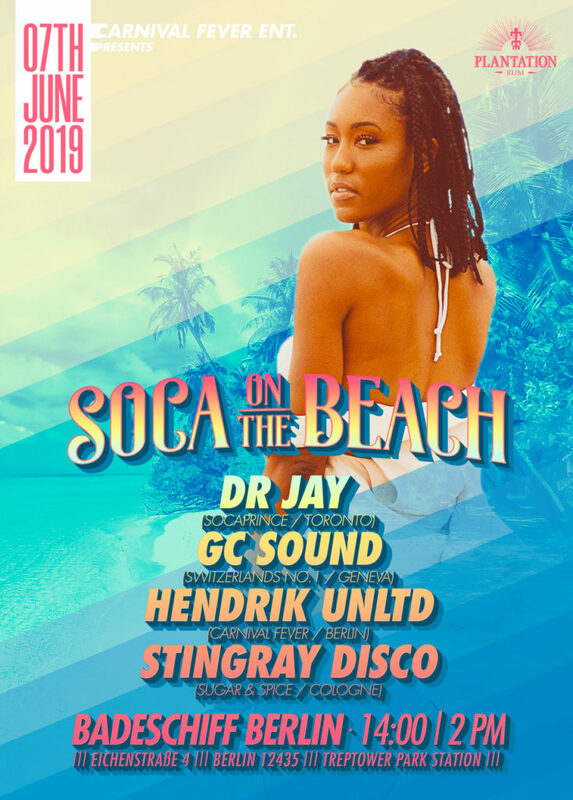 Each year we turn the Badeschiff into a caribbean hotspot for Soca on the Beach. The Berlin Carnival of Cultures weekend will bring pure heat to the city. Music by Dr Jay (Toronto), GC Sound (Geneva), Stingray Disco (Cologne) & local support by Hendrik Unltd (Berlin). The big fun & food court with caribbean Street Food will give you enough power to dance through the day! Limited Tickets on the door available.